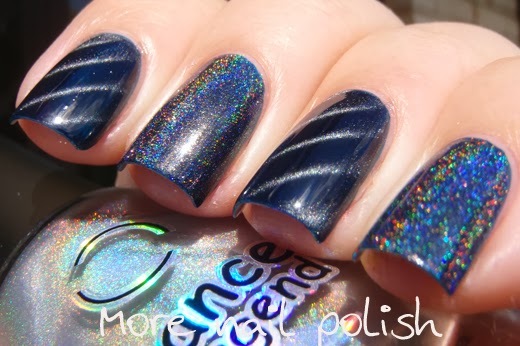 Dance Legend has three fantastic top coats now available - a prismatic, a magnetic and a texture I've previously shown the textured Sahara top coat, which is a clear top coat with a silver shimmer that turns any polish into a textured polish. Today I've got the other two top coats to show you. 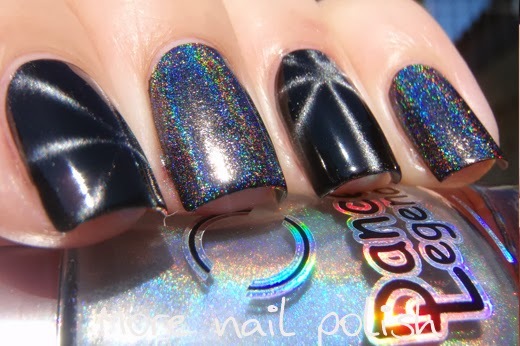 The prismatic top coat that can turn any polish into a holo and the magnetic top coat that transforms any polish into a magnetic. First up, the Prismatic top coat. 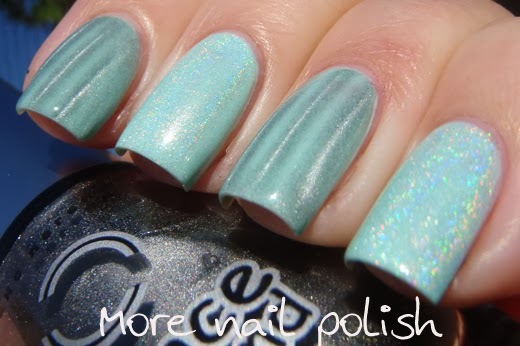 This is a clear top coat that has prismatic particles to create a strong linear effect. It's quite dense, and I think you could almost make it into an opaque silver holo if you did three coats. For these photos over red, I used only one coat. The coat was a bit thicker on the index and middle fingers compared to the ring and pinky. This means you can change the appearance depending on how thick you apply it. The thicker you apply it the more grayed out and silver looking the polish beneath will become. 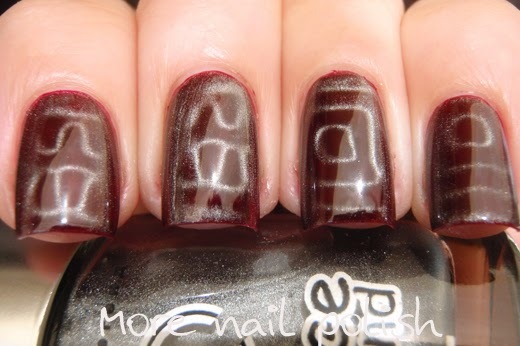 The second top coat is the magnetic one, which is a silvery grey looking shimmer polish. When you apply a magnet to the design, the silver particles all line up nicely to create the magnetic effect. 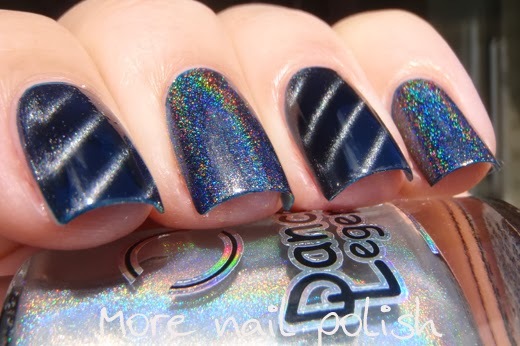 The polish is supplied with a diagonal line magnet that works very well, I used it in the last swatch below. For these first images, I used some of my custom made magnetic designs. I actually didn't do a very good job at holding the magnet still enough or close enough, and as a result you can see the grey shimmer particles quite obviously on most nails, but particularly on the middle finger. 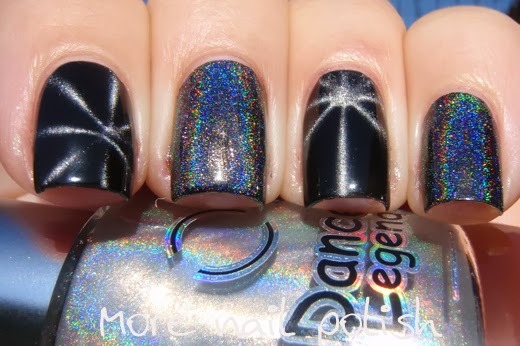 Here is shot of Dance Legend Nox (a black creme) with both the magnetic top coat on the index and ring fingers and the prismatic top coat on the middle and pinky. I used my star magnet to create the magnetic designs and as you can see it worked beautifully. I love that all the magnetic particles line up so well and none remain on the black part of the polish. 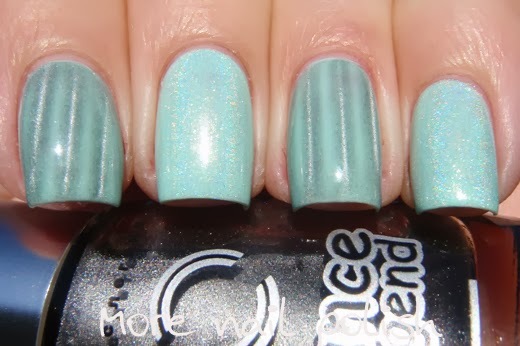 You can also see how much one coat of the prismatic top coat changes the base colour. It becomes more of a charcoal grey than a black. Next I tried both polishes over a pale shade. This is Picture Polish Jade and you can see how the magnetic polish darkens the base colour and the prismatic one lightens it. 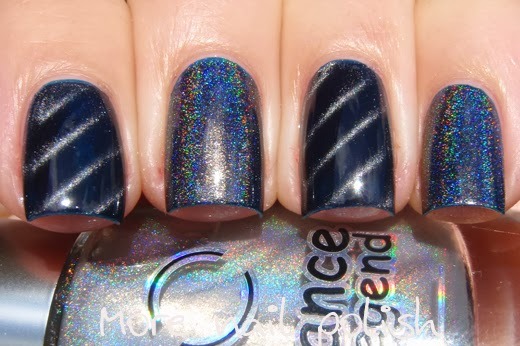 One last look of both top coats over Dance Legend Oblivate (a navy blue creme). This is the magnet that comes with the magnetic top coat. 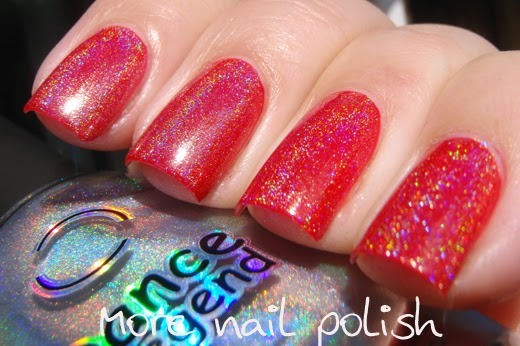 Prismatic - a very strong linear top coat that creates a bright holo flame. Looks fantastic over any shade but it will dull down bright or darker shades. 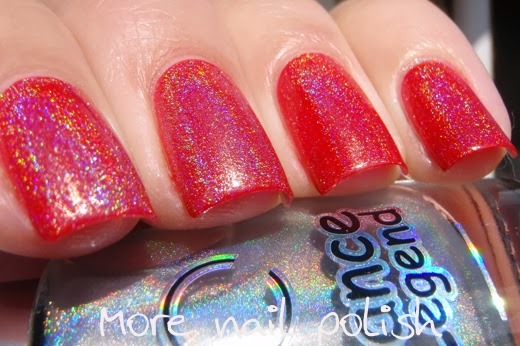 Probably best used over light or medium colours unless you don't mind losing some colour intensity for the holo flame. Magnetic - I love this and I've not seen anything else like it on the market. 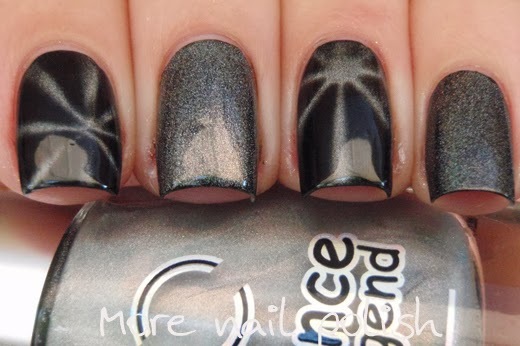 Creates very strong and clean magnetic designs and looks particularly striking over darker shades. I don't like it as much over lighter shades because it grays them out too much, but I love the options that this provides. 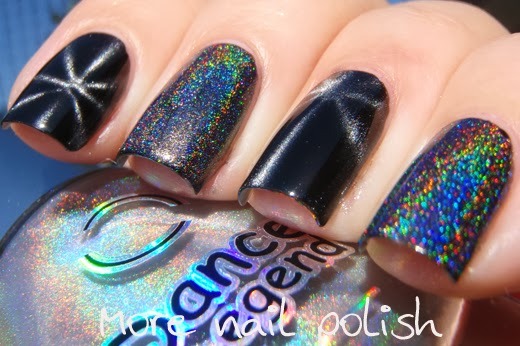 I'm looking forward to trying this out over some sort of nail art, such as gradients. Dance Legned can be purchased online directly from dance-legend.com or through the brand's international etailers. Australian's can get Dance Legend through Femme Fatale Cosmetics, they are sold out of just about everything at the moment, but new stock is on route, with an expected restock at the end of March. Okay I've seen plenty of holo toppers before, but this is the first time I've ever seen a magnet topper or a texture topper (I must have not realized in the post where you swatched the texture topper that that's what it was). That is SO COOL! It would be really interesting to see the magnet topper in other colors, too. 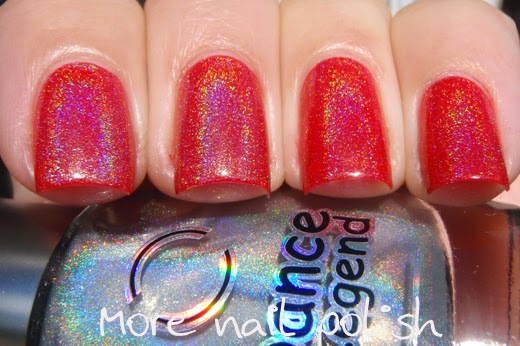 Oh man that prismatic top coat, you're making me kick myself for not picking it up last time I ordered Dance Legend! I love them all (including the textured one)! 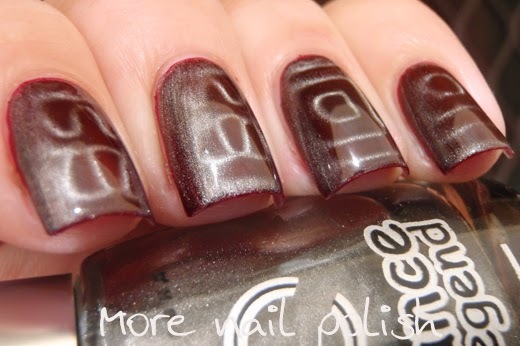 I am not over the magnetic polishes as I still think they look so cool and this gives it a whole new direction. I just bought my first holo topper so I am curious to see how this one stacks up against that one. Thank you so much for your photos, they show it in so many different ways. 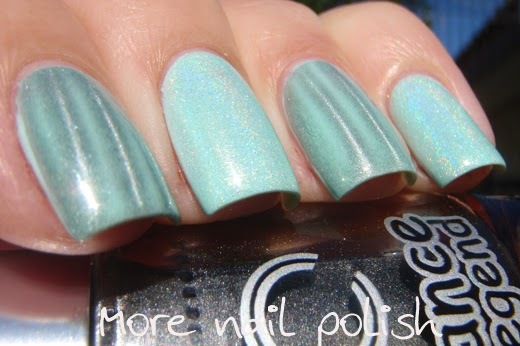 Do you have the spectraflair holo top coat to use as comparison?